Question: I have an investment place in Sydney which I visit each year. Can I tax deduct my travel costs for my trip home? Answer: If you’re an Australian expat with a portfolio that has property at home you may often find yourself going back to back to Australia to carry out inspections and maintenance, as well as visiting friends and family. The ATO allows you to claim a range of travel expenses when flying internationally and although most things can be considered expenses, there are a few rules and intricacies that you should know and be aware about. 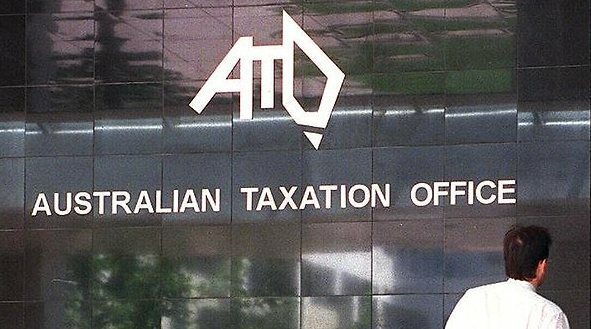 What won’t the ATO let me claim on? The Australian Tax Office has the approach of anything is allowed, provided it is not of a ‘capital nature’ and provided it’s done in order to aid the gain of assessable income. This means that anything that changes the base value of your property like travelling to go monitor a loft conversion can’t be claimed and anything like going to collect rent or deal with maintenance issues is claimable. Another good example of where this extends to is a claim for a plane ticket to go and rent your property versus a plane ticket to go and sell your property; the former being claimable and the latter not. The ATO also looks at whether or not you can prove what is called ‘no duality of purpose’, i.e. if you visiting the property is only incidental to your trip to Australia. So claiming an airline ticket to go to Australia to go on holiday and to inspect your property on the side is not deductible. So does that mean I can only claim on flights specifically to go see my property? If your visit does happen to be of a dual nature, worry not as deductions directly related to the property can still be made. This now falls under the category of domestic claims and is treated like any other normal claim you’d make on ‘income costs’. This means that if you visit Sydney but your property is in Perth, you can claim travel expenses from Sydney to Perth. This holds if you travel by aeroplane, motor vehicle, or camel (a joke of course). So then how are my deductions calculated and how do I prove these claims? There are a few methods for the calculation of these by car costs, such as the cents per kilometre method or the logbook method. Details can be found here. In order to prove this the ATO requires documentation in the form of either receipts or a written travel diary (if your travel domestically is more than 6 days) that logs your daily activities. This diary should include the date, time, duration, and a brief description of your activities. It’s also advisable to keep all receipts and invoices throughout your visit, even receipts for items used in your property maintenance as small as paint. Great. Anything else I should know? Yes. Accommodation where it would otherwise be unreasonable to not stay on your visit is claimable. This means hotel accommodation, but try not to push the taxman’s buttons and go all out at a 5 star with your family as this deduction only applies to whoever actually owns the property. If this is you and your partner both have joint ownership, you both can claim half the expenses each. You should also know that food expenses are deductible, from a bottle of water on the way, to a restaurant meal(s). Again, it’s important to keep a record of these events in the form of receipts and some sort of travel log should the taxman decide to audit you and your claims.